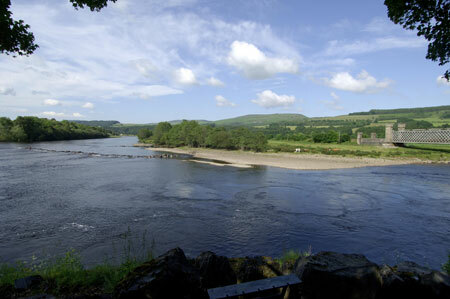 The Dalguise Fishings, by Dunkeld in Perthshire, offer an extremely rare opportunity to acquire an attractive and productive double bank beat on the highly sought after Middle Tay. Unusually, a pretty three bedroom cottage situated in a private location close to the Dalguise Beat, is also included within the sale. Burnside Cottage is a traditional built home of stone under a slated roof. 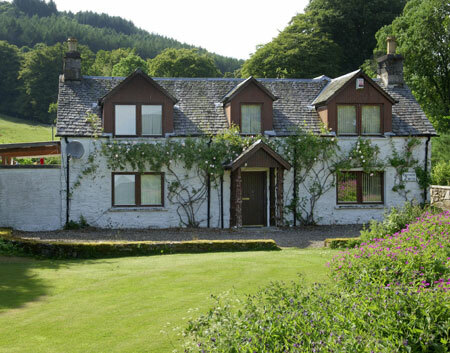 The cottage offers accommodation over two floors and is set in a colourful garden bound by the Kincraigie Burn, with flood bank security for the property. The Dalguise Beat extends to 1¼ miles double bank and produces an average annual catch of some 113 salmon with a good spread of fishing by month and pool. The fishings benefit from a most attractive lunch hut and are protected by established woodlands. The property also includes two islands which form habitat for much wildlife, a rare addition. The Dalguise Fishings were originally owned by the Tempest Family and were let on a seasonal basis during the Victorian Era, including, for several years, to the Potter Family. Their daughter Beatrix spent many hours down at the river bank and local lore is that the inspiration for her tale of the misadventures of the frog, Mr Jeremy Fisher, as he tried to fish for his dinner, came from holidays at Dalguise. The Dalguise Fishings stretches from Kincraigie Burn to Rotmell and marches with the Dalmarnock Beat. It is fishable both by boat and wading, as well as from the bank, over which there is excellent access. Price: Offers over £760,000 are sought for the fishings and cottage.